We cover as much of the UK as we possibly can. Sometimes with the larger trees, to very rural areas problems can crop up, but we will always try to deliver to your designated address. There is a delivery charge to Scottish Highlands & Islands and Northern Ireland. We can also deliver to parts of Europe, the Channel Islands, Isle of Wight and Isle of Man, please email over your address including postcode, what you would like and we will quote you the delivery cost. Can my order be delivered to a different address than my billing address? Yes, at check-out you have the option to give a different delivery address to the payment card address. This means that you can have your order sent to e.g. your workplace or to a friend as a gift. As a signature is required to acknowledge delivery, please try and give an address where there will be someone present to sign for the good(s) between 8.00a.m. and 5.30pm, Monday to Friday. The signature of the person accepting delivery at the delivery address will be proof that you or the person to whom the order is addressed has received the delivery. The goods are dispatched by carrier and we aim to deliver them within 1-3 working days of receiving your order. If you are having your plant set in a planter, please be aware that it will need time to set - approximately 10 -14 days. 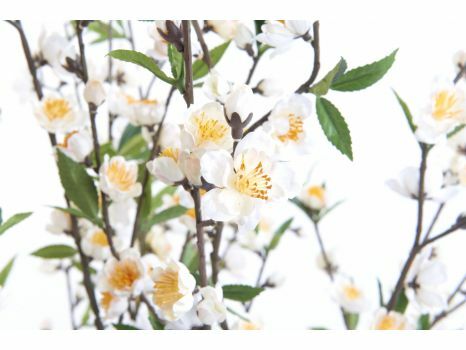 Hand-made trees such as our Ficus range, Olive trees, Eucalyptus, Blossom and Aralia are made to order and also take approx: 10 working days. Also larger Boxwood Balls and Hedges are made to order and take about 3-4 weeks. You have the option to give a different delivery address to the payment card address. This means that you can have the parcel sent to e.g. your workplace or to a friend as a gift. As a signature is required to acknowledge delivery, please try and give an address where there will be someone present to sign for the good(s) between 8.00a.m. and 5.30pm, Monday to Friday. The signature of the person accepting delivery at the delivery address will be proof that you or the person to whom the order is addressed has received the delivery. Yes, please phone us on 01524 851017 during normal working hours, we can take all major credit and debit cards. If you wish to return a product, you may return them within 10 days at the cost to the customer, for either a refund or for an exchange. Simply, we pay for the item to go out, you pay for it to be returned and we will make a full refund on return. If you do use your own courier, don’t forget to include your name, address, telephone number and order number. We cannot be responsible for any item that fails to reach us, so please register your parcel. If you wish for us to collect the goods, please keep all boxes and packaging as we cannot arrange a collection without them. Returned items must be in a new and unused condition with all packaging included. All returns are checked by us before a refund is issued. We cannot accept returned goods that are not in a saleable condition. If you do choose to arrange a return with ourselves the costs incurred will be deducted from your refund. A courier will be arranged on a convenient day for yourselves to come to your address and collect. There may be an extra charge for Northern Ireland and Scottish Highlands and Islands and any failed collection. What are bespoke items and are they refundable? The prices shown, are there any other charges when we get to check-out? No, we hate that when internet shopping, there is nothing worse than getting all the way to check out and then finding an addtional charge at the very end, so we knew when setting up the site that the price you see, will be the final price you pay. How do I pot my tree? - Place your tree with the travel pot, inside your own larger decorative pot. You can then fill the space in between this with a filler product such as sand, stones, gravel, newspaper and top off with decorative stone. - You can also use expanding foam (plumbers foam). This can be sprayed this into your larger pot with the tree inside, leave it to set and then tidy up any unwanted expanding foam and top with something decorative like moss or stones. We recommend drainage holes in the bottom of the pot. This will fix the tree into the pot permanently. We would not recommend using this if you are not familiar with the product as it may over expand and damage the planter, so have a test run or ask someone who is experienced to do this for you. Can I extend the life of my artificial outdoor plants? All items that are in our Outdoor Plant category can be used outdoor. The Topiary Plants have been made with UV protection for outdoor use. Please note that none of our items come with a guarantee. As with all outdoor furniture, common sense should be used with our artificial outdoor plant range. We always recommend if the weather is bad, especially windy, the plants should be brought inside to prolong there outdoor use and protect them from being damaged. We recommend you keep them away from direct sunlight and in a sheltered, ventilated area which allows them to dry out if they get wet and also away from high winds. We would not recommend planting directly into soil and any planters need to have good drainage especially around the trunk of the plant. 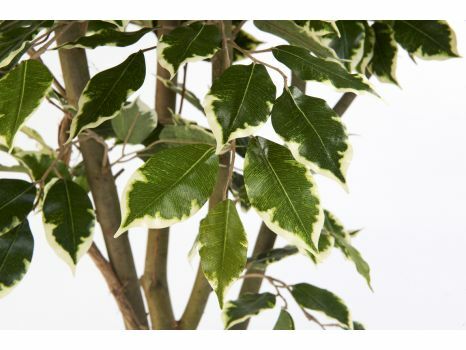 Overtime UV rays fade plastic and cause brittleness, for extra protection UV sprays can be purchased on the internet which will extend the life of artificial outdoor plants, they are simply sprayed all over and allowed to air dry. I have bought a planter with a Boxwood Ball in, can I make my planter heavier? Yes, feel around the lip of the planter and you will see that the ball is held in place by cable ties, snip one and hinge the ball back. Place a brick or similar in the bottom of the planter, now hinge the ball back and cable tie back into place. Do you make your own artificial trees? The answer is both. 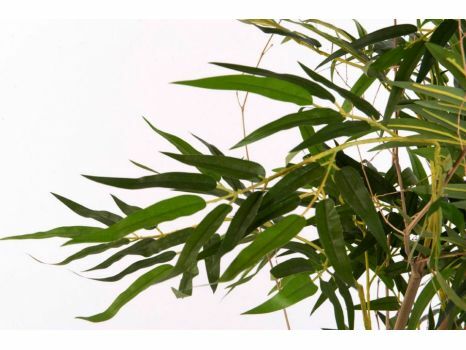 Some of our products are carefully chosen, 'off the shelf' products and others such as the Ficus, Aralia, Olive, Blossom and Eucalyptus Trees are individually hand made to order by us. We can also offer bespoke commissions, please contact us with your enquiry. I'm afraid not, we originally were a local florist, that has grown into an internet business selling all over the UK, predominately London and the home counties. Red Hot Plants are still based in Lancashire and to work most cost effectively, we now are an office, stores and workshop.